You can speak a million kind words to other people, but the ones that mean the most are the ones you speak to yourself. Those are the echoes you need to hear. This piece is hung as a daily reminder to me. Letting the ego and the devil speak words to you won’t lead you or guide you to greater things. They both speak with selfish motives. 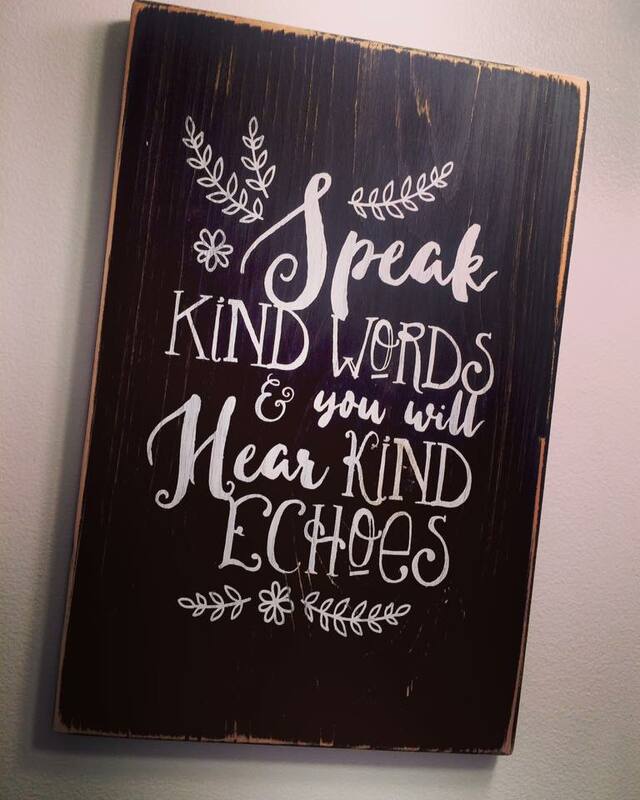 Let the kind words of your heart speak and listen to those echoes. Let them overpower those of the ego. If you don’t speak kind words to yourself, you will have no kind words to give anyone else. If you are telling yourself you are not good enough and that the past mistakes dictate the rest of your life, you will hear the echoes of all of the sins and they will wear you down. Be careful what you speak and what you hear. Go out and speak kind words to those around you, and most importantly to yourself!! Love this! What a great reminder.